We all have our different opinions on how we like to train; some prefer a fasted run, others can’t train without having something in their stomach. For me, I thought I had eaten enough before a race but today’s post is all about my experience when I realised I hadn’t. In the middle of June, I took part in the Lisburn 10K race which I recently posted about and I was so incredibly happy with the experience because I got a personal best. However, what I didn’t write about was what happened an hour or two later because I thought it deserved a post of it’s own. This had been my first evening race and because it was in Lisburn, it wasn’t a case of being able to go home for dinner first so I thought I had planned out my food quite well for that day. I had my bagel and smoothie as normal for breakfast, my lunch was a Thai curry that Scott had made me the day before and I grabbed a snack at around 3:30pm. I certainly wasn’t hungry so I thought I was okay and I didn’t get hungry until after the race. We got the train home from Lisburn and while I was tired, I was fine. We jumped on the bus from town to where we live and I started to feel iffy on the bus but I wasn’t sure why. I had eaten some dark chocolate on the way home to have some sugar in my system (The bars they were handing out at the finishing line weren’t gluten free) so I didn’t think food had anything to do with it. My body could have been in shock because I pushed it very hard or because our bus driver was driving fast, that could have set me off. Our bus took less than ten minutes to get from the city centre to where we were getting off and I started to feel slightly worse. I couldn’t feel my fingers and my legs became tingly; as soon as we came off the bus, I had to go and sit at the bus stop and the tingling got worse. I couldn’t stand up, I couldn’t feel Scott’s hand and my head felt very fuzzy. I had no idea what was happening and that’s when Scott asked me what I had had to eat that day, so I told him and he said I hadn’t eaten enough and my body had used up almost all my energy running that my body was going into shock. I went from being hungry on the train home to not wanting to touch anything. Once we got back to Scott’s house, he lay me down and got me to drink diluted juice and asked me to eat a Nakd bar. I had one bite of the bar and thought I was going to throw up (I love them any other time!) I could stomach the juice but it was about ten more minutes before the tingling feeling went away. I had never experienced anything like that before in terms of running so I started to panic thinking “was it going happen again?” Scott told me it’s happened to him before and I had no reason to panic but to make sure I eat enough next time. While it was a scary experience, it’s definitely made me more aware of my food intake before any type of training. If I train in the morning, I’m normally fine fasting but if it’s anything in the afternoon or in the evening, I know that I need to leave around two hours for my food to settle. I possibly should have had a very early dinner at 4pm instead so while the race started at 7pm, it would still be sitting in my stomach. I’m interested in any tips that anyone has that could help me in the future (apart from eating more, of course) or if you have any experiences around this subject that you think would be useful, please let me know. Thank you so much for reading! Apologises but this will be a slightly longer post, I’ve been running more than usual lately, so that’s only a good thing. If you missed my post about signing up for a 10K race, it’s linked here. After I recovered from my injury and started back on the parkruns (which I talked about in my running update) my long distance running had to begin in order for my 10K training so that’s what I done and before I begin, all the long distance runs I have done so far have been in the same place which I’ll talk about, except I’ve just gone a little further each time. The first long distance run was done one Sunday evening when it was just starting to get dark. The towpath we run on is 4 miles or just over 6.5K altogether when we turn at the tunnel and come back around. Once we finished on the route, we actually ran a little further to hit 7.5K. This particular run wasn’t that difficult, I thought I would have struggled but because we slowed down, I didn’t feel out of breath and I even said I could have kept going. I’ve never ran that distance before so I was over the moon with it, and at that point I didn’t care about timings, I was just so happy that I done it. The next long distance was done after work one evening and as much as I love the Autumn and Winter seasons, I hate that it’s getting so dark so soon. We run down a quiet towpath near our area and it’s really lovely but the one downside is that at night, it’s very badly lit. Thankfully Scott had his head light with him and when it was really dark, he went in front of me so cyclists could see him first. Again, this wasn’t a tough run and I only really started to feel tired after the towpath and we went further than the 7.5K stopping point. We went to the 9K stopping point! Yes, I ran 9K. You have no idea how happy I was, and quite frankly, I’m still proud of it. According to Scott, I was four minutes faster at the 7.5K mark this time too. So because I was four minutes faster, I’m assuming I picked up the pace and I had been at work all day so I put my added tiredness to the fact I’d been in work all day then I came home to run. My dinner was thoroughly enjoyed that night. My third run was a lone run which I didn’t mind too much. I really like when I run with Scott but I don’t like feeling dependent on someone so that’s why I don’t miss out on parkrun’s if he can’t come with me, I want to feel like I’m progressing all the time and this experience was no exception. I went straight after work meaning I rushed in, got changed and make-up off within ten minutes then headed to my route and it was already starting to get dark. Thankfully I have a torch on my phone so I stuck that on in very dark patches or when I thought I would need to be seen by other runners or cyclists. I would say this was the toughest run but yet, I wasn’t overwhelmed. I wasn’t gasping for my last breath like sometimes I can be at the parkrun but it certainly wasn’t a walk in the park (or shall we say run in the park? Ha!). If you scroll up, you can see my first 9K run was finished in one hour and eleven minutes; this 9K run was completed in one hour and four minutes. How? For me, these longer runs are not about the time because I need to prove to myself that I can run a longer distance and be able to mentally get through it (which I feel like I’m doing pretty well) but when you see such a significant time difference, you can’t help but be pleased. I took part in another parkrun the next week, I didn’t get my code scanned that day because we turned up late and started late so I didn’t want a bad time so that doesn’t count towards my parkrun participation unfortunately. I finished that in just under 36 minutes which I was a little disappointed with but I tried my best regardless. The next week I took part in something which I never thought I would, it was a mud run. My best friend Leonie asked me did I want to take part and the thought of mud turned me off so I originally said no, but when her sister couldn’t do it, I changed my mind and I’m so glad! It was so much fun! I decided to be a little too adventurous on the run however; I thought that I would speed through obstacles under ropes like a little cheetah. That came with consequences where I hurt my groin and it continued to hurt for about four weeks. 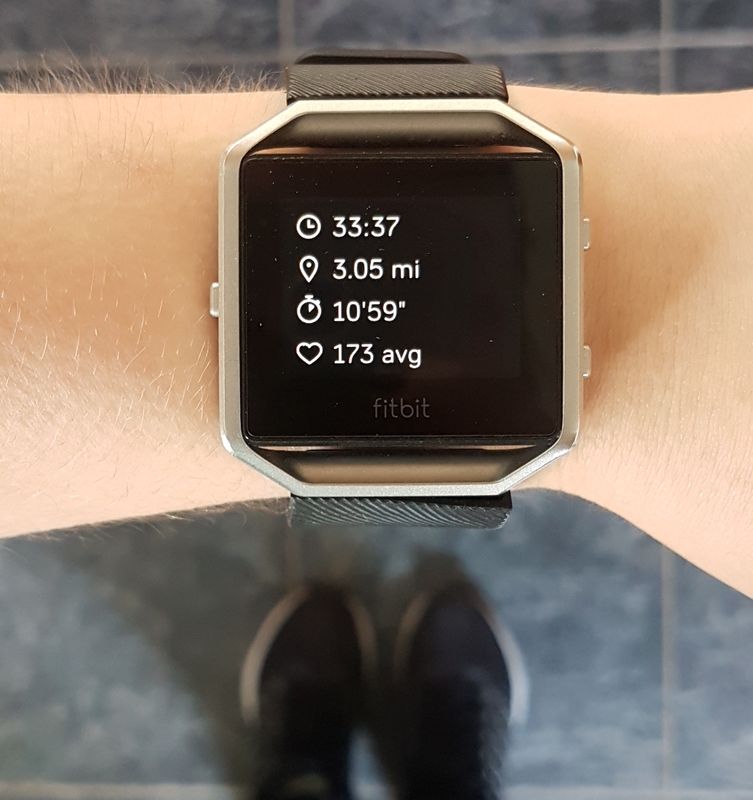 My running came to a stop at that point; I couldn’t go to the gym in the morning because my walk to work had become unbearable and the injury added an extra ten minutes to my journey just because I was limping so much. After ignoring the advice from my boyfriend for two weeks, he told me that I absolutely had to start using ice gels, heat gels, ice packs and ibuprofen. I’m not a fan of pain killers because I feel like they have never worked for me so I wasn’t too keen on taking them but after two weeks, the pain was getting worse so I didn’t have a choice in the matter. Thankfully after a few days, I started to feel better and it took about two weeks after I started using the gels and taking the painkillers. I still get slight pains from time to time (on a daily basis) but it’s definitely not as bad as it was. Last week I went back to the local parkrun and I have never been so thankful to be running again. An injury really makes you appreciate what you can and can’t do and I made a promise to myself not to complain on this first run back. My mental head space tends to take over and tells me that I can’t do it so because I hadn’t ran in a while, I tried my best to push the negative thoughts to the back of my head and just run. It seemed to work and I was really proud of myself for getting back out there. With my first parkrun back, I finished with a time of 35:16 and considering I’d been out for about four weeks, I was really proud of that. My groin did start to hurt as soon as I stopped running but that was to be expected. So where are we now? Well, this past Saturday I went to the parkrun (which was celebrating it’s 13th Birthday!) and I ended up gaining a new personal best (which is pictured above!). I was completely over the moon! I would say I definitely pushed myself a lot more this run and by the end of the first lap, I was really tired and wasn’t sure whether I could do a second lap but I did! Race Day had arrived; it was the day I had been training for for the last number of weeks. I can’t believe I’ve only been training for just over a month! I’ve went from just under 45 minutes to under 35 minutes in just a month, which I’m so happy with. Having done the Park Run the day before (and set a new personal best), I knew from the get-go that I wasn’t going to match that time but if I got under 35 minutes, I would be happy. I was quite nervous, I’m not really sure why; I think it was because this was my target that I was aiming for and it was finally here. Scott was running the 5K with me but there was the option of the 10K and the kids fun run too. We stood in the wrong line but we must have looked out of place so thankfully someone pointed out the right starting line about thirty seconds before we were due to start. The race began slowly but surely; where the start line had started, it was leading to a bridge so it wasn’t very wide and we both knew we were going to lose some time here. The first minute or two was definitely not at the speed I’m used to, it was slower but with the way the course was laid out, there was really nothing we could do. For the first three quarters of the race, I would say I was doing well. I had developed a sore tummy and my head started to pound but I was getting through it. If you read my post about running with negative mental health, then how I felt in that run was very similar on how I felt this day. My self-critical thoughts came thick and fast and unlike the day before, I wasn’t able to tell myself “I could do it”, it was like I was talking to a brick wall. I started to hate the running, I hated everyone around me, I wanted to quit, I started to panic and eventually I ended up having a panic attack weasing away not being able to breath. I was so embarrassed! I didn’t stop though so I was overwhelmed, running with a negative mindset, finding it hard to breath and struggling to find the energy to run at all. I cried and I must have looked like I really hated running but there was so much more going on in my head than I could have explained. Scott every time has been really supportive when I have periods like this, running or not, he’s there just willing to listen. He did offer me some more positive re-enforcement than usual even though he knows I’m not a huge fan of it, but we were so close to finishing that I think he felt like I needed to hear it. One of the big cons of the race was something that I didn’t notice until after but Scott noticed at just the right point. I seen him looking at his phone quite a lot towards the end and I thought he was constantly checking our time, but I didn’t ask about it because quite frankly, I was mentally drained and I didn’t care about my time. I just wanted the race to be over at this point. We get past a certain point and he said “I think this route is longer than 5K” so we do a sprint to the big “finish” sign and I stop my watch immediately. That’s when I noticed a difference. We all know (if you’ve read previous posts) that my FitBit plays up when it comes to the GPS aspect. So for the 5K in the Park Run, it comes up for me as 3.05 miles but my watch this time came up as 3.16miles so it was more than 5K. Because of this, my time was different and it came up as 35:28 meaning I didn’t hit my under 35 minutes aim. However, because Scott had been watching his distance and time, he stopped it at the exact 5K mark and our time according to his more trusting app was 34:25 meaning I came under my target! This sounds like there were more cons than pros in this race and I would say it was pretty evenly matched. I was disappointed in the distance especially for those going for personal bests and timings specifically but the atmosphere was really lovely with so many people there to cheer us on at the start and the end. The starting at the bridge slowed us down like I said but the views going through Victoria Park were gorgeous especially since I haven’t been there before. My next and final post in this “Training for a 5K Race” series will conclude with my overall thoughts on my performance, my results over the last few weeks and what’s next as well as a few more thoughts on the race day too.